If you have a Mum/Uncle/Cousin who loves baking then ask them to make you a cake, nine times out of ten they will be really flattered and accept your request with gusto. 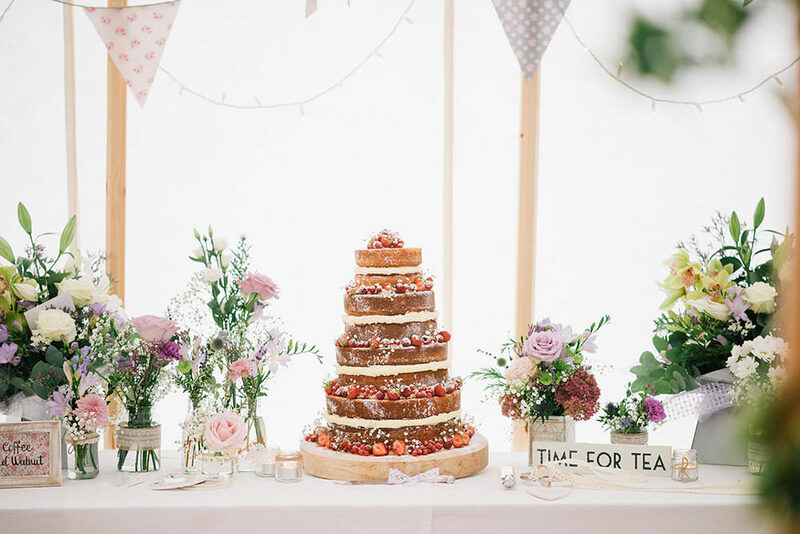 Instead of having a wedding cake, have a Bake-Off style dessert table – ask people to bring cakes and desserts instead of presents or have a cake of cheese so you don’t need to provide an evening buffet. Consider your menu choices. 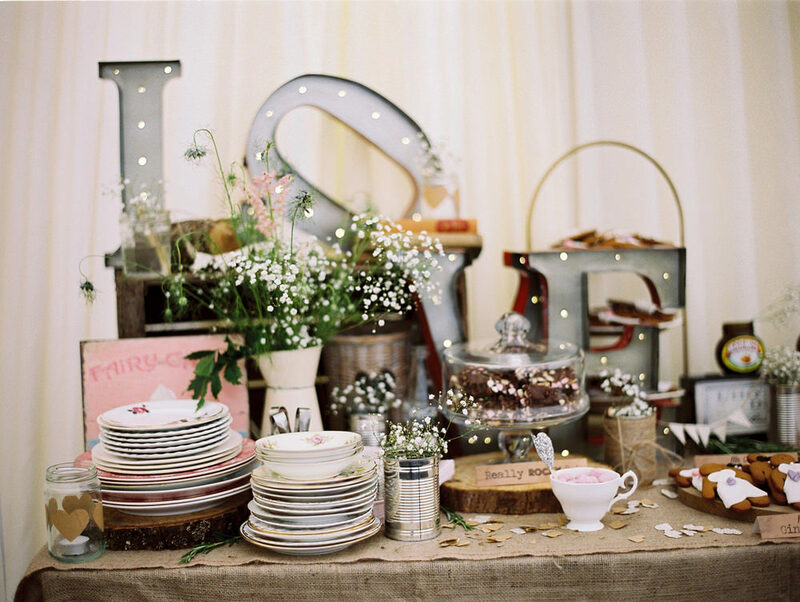 Opt for a BBQ or even a picnic if your venue will let you. Buffet style food doesn’t have to feel 80s, it can be really stylish if you put it together well. 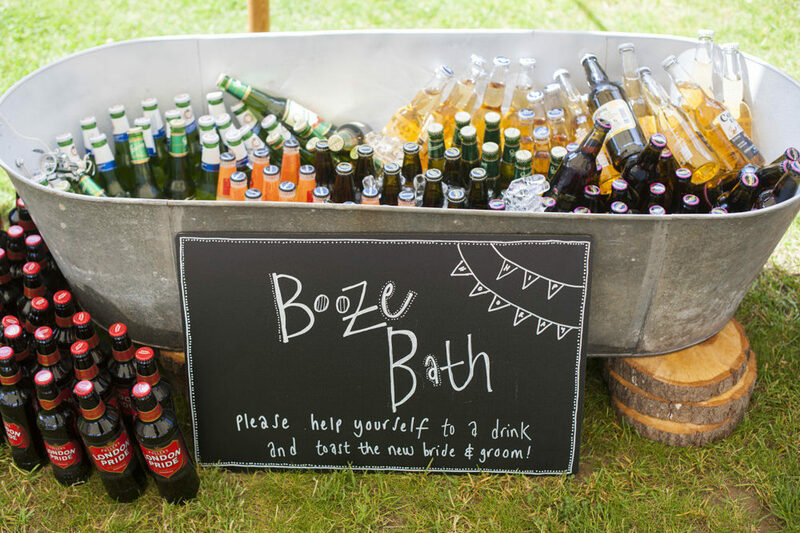 Buy booze in bulk when it’s on offer at the supermarket or cash and carry and display in a old bath tub/wheelbarrow/bin. Use social media wisely, follow the Instagram accounts of the bridal designers and boutiques you love as this is where they will announce their sample sales. Don’t be afraid of getting in the car and driving across the country for one – if you’re saving 50-60% on the cost of your dream dress than a tank of petrol is nothing. Consider wearing a second hand wedding dress. In all likely hood the dress has been worn once before and dry cleaners like Johnsons are very experienced at looking after such precious items. It’s all about how you wear it, so finding your dress on the high street or in a more budget Bridal boutique is a savvy idea. As long as you own it, no-one needs to know! 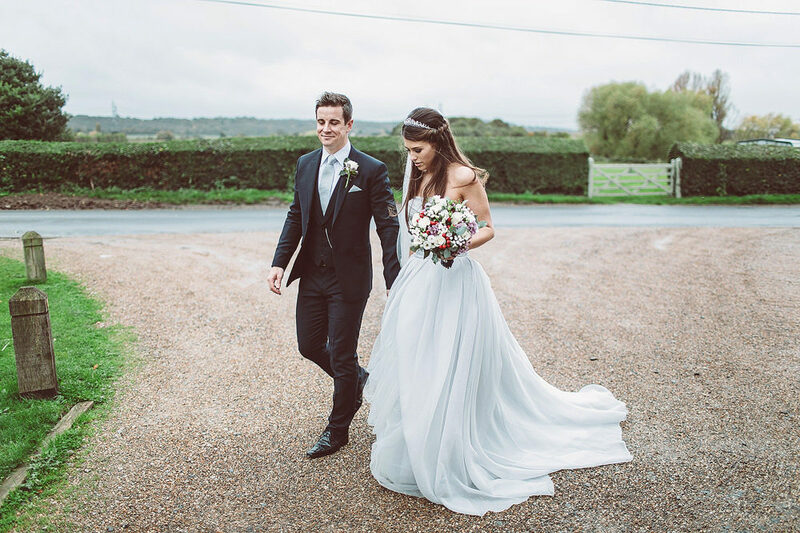 (Take the dresses in our gallery below for example – one is from Monsoon, the other is from Vera Wang’s concession at David’s Bridal, both costing less than £600 and both GORGEOUS dresses. In fact the Vera Wang is one of our most liked images on social media EVER. Yep. Go figure). Give Bridesmaids a strict budget to buy a dress within your colour palette, if they want to spend more or contribute extra for a dress they really love and will wear again then that’s up to them. Likewise for the boys, ask Groomsmen to wear their own suits. 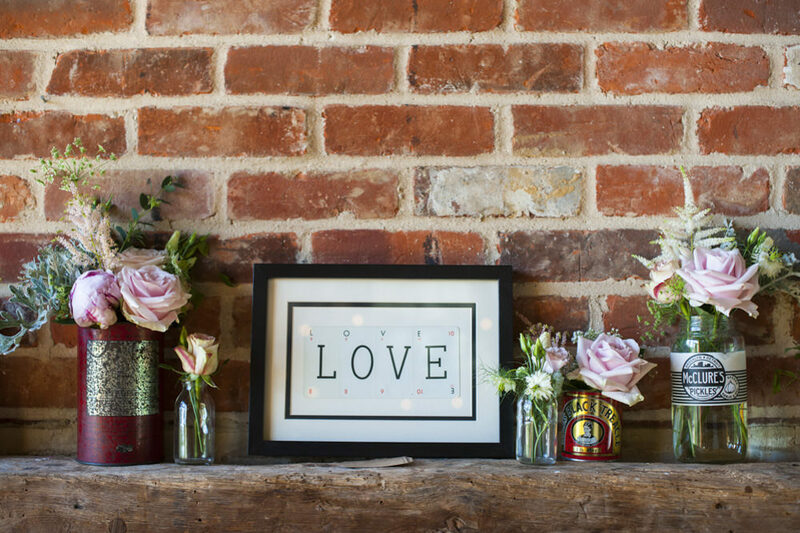 Use wild and seasonal flowers displayed in stem vases, jam jars and tin cans. This looks really pretty and is very easy to do yourself. Opt for lots of foliage instead of flowers, essentially you can just chop this down from your garden, so it’s completely free! 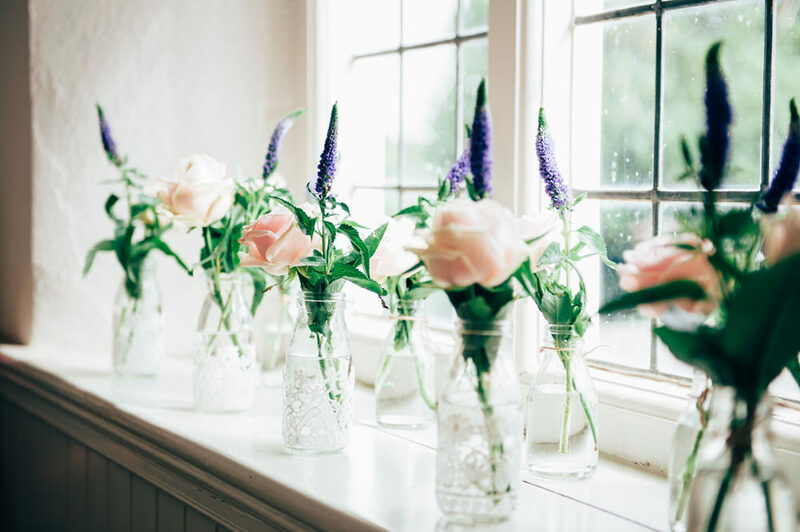 Give single flower stems as favours – they serve as decor (wrap them in ribbon around the napkin) and girls can wear them in their hair and blokes in their buttonholes for the reception. 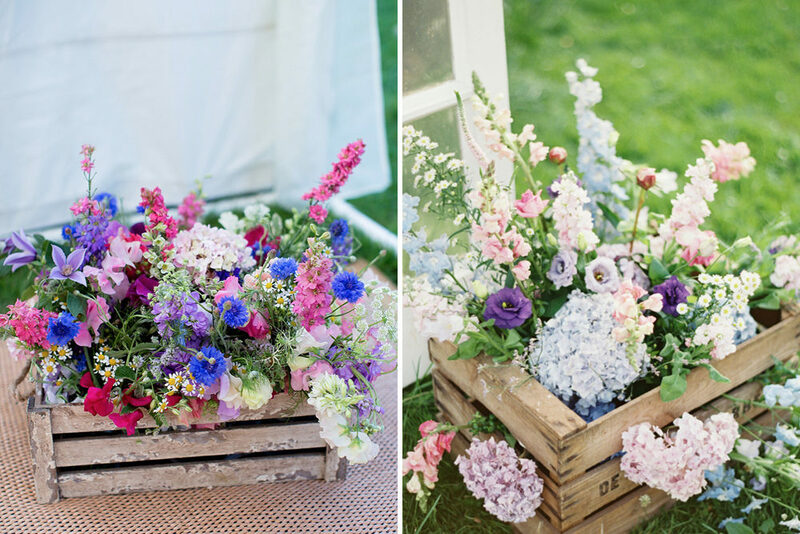 Favours, Florals, AND making your guests blend in with the overall aesthetic. We’re kind of joking but kind of not. Ask guests to send you photos of themselves with the RSVP – interactive guest decor that is also FREE. Have a menu board instead of menu print outs, saving you money on your stationery budget. Wooden palettes can be made into all sorts of things. 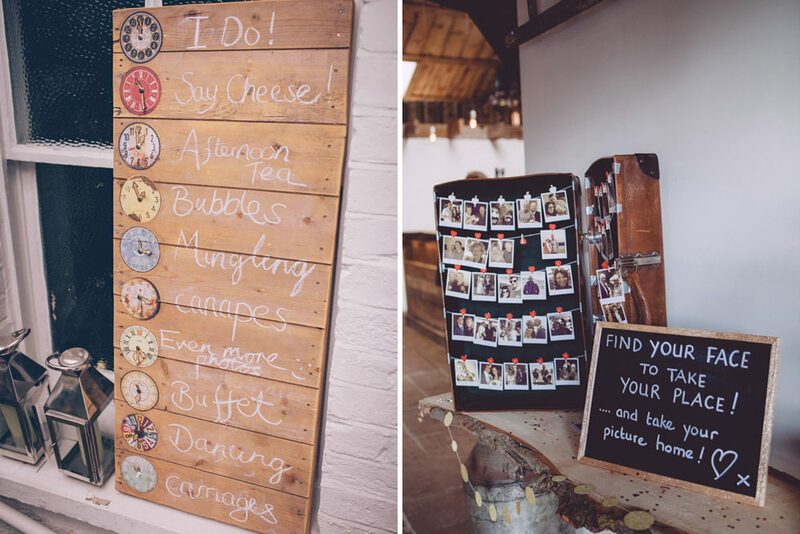 Signs, somewhere to display your table plan, your cake, your flowers etc. People often give these away for free, so keep an eye out on local shops and businesses or farms. It’s certainly not easy to create your own stationery, but it can be done and is definitely one way to save money. Consider going paperless and having a wedding website. Or just send out emails. Yes it feels more clinical and very modern, but honestly how many wedding invitations do you have saved at home? 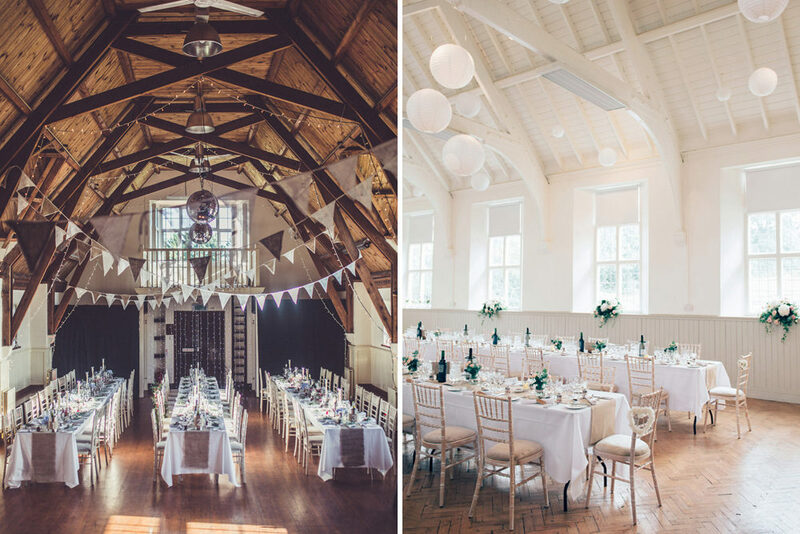 Look at alternative wedding venues like village halls, parents’ back gardens, holiday homes. Even YOUR home…It really pays to think outside the box when it comes to venue. Our Laura’s wedding was SIGNIFICANTLY cheaper than her initial budget because she did this. Investigate all ideas – whether that’s speaking with local farmers, charities based in amazing buildings or woodland trusts. Don’t think anything is off limits until you know for certain that it is. This is a really difficult one, but try not to mention the wedding word. 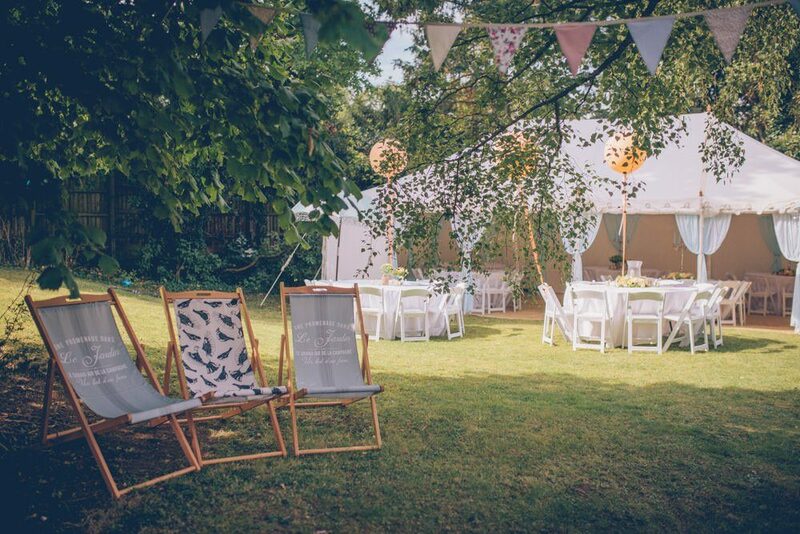 If you’re booking a space purely for the reception, then call it a family party (in all honesty that’s exactly what it is and a venue shouldn’t be charging you more for a wedding just because it’s a wedding). Hiring a band or DJ can be incredibly expensive and a well considered Spotify playlist is guaranteed to keep people dancing. Ask friends and family members if they know any local musicians such as buskers or students, often people do and they will be more than happy to play at your wedding for a small fee. Again, ask around for people with nice cars. There’s often a friendly old Granddad around who would absolutely love for his motor to feature in your big day. Without being totally sexist here, there’s nothing boys love more than showing off their car, even more so when it’s to help out a damsel in distress. (Ok that was very sexist, but it’s true in a lot of cases)! Consider getting hitched later in the afternoon so you only have to provide one lot of food, perhaps a hot buffet which would work out cheaper than a sit down meal. Consider getting married on a week day – Thursday is the new Sunday…and November is the new May. Although this isn’t new and the wedding season does seem to run endlessly now, lots of venues still run special packages for weekday or winter weddings. Ditch the favours – no-one will notice or go down the homemade option and present people with a pretty biscuit, mini bottle of limoncello or jar of jam. Ask people for help!!! You’ve probably picked that one up by this point already, but people are always really happy to be involved in your big day. To catch up on all of our previous podcasts, head here. Happy listening! Great! So many fantastic ideas and advice! we love this post, great content as always!